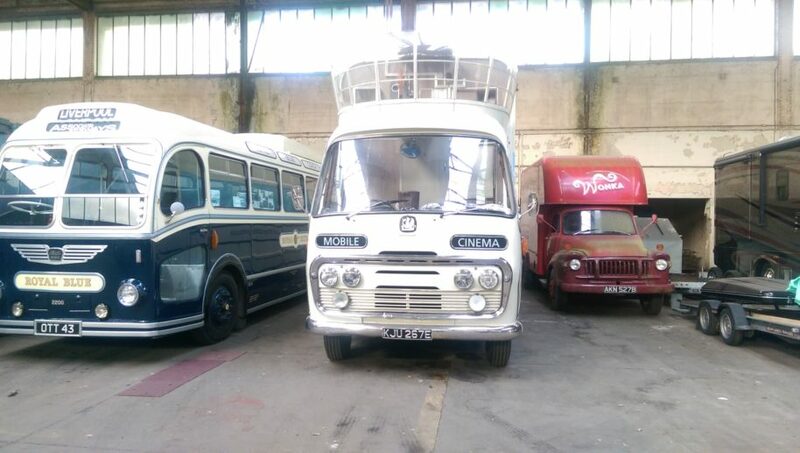 When Audrey, the Vintage Mobile Cinema returns back to her home at Bicester Heritage, we’re never quite sure who we’ll end up parking next to. Over the last few months it’s been anything from a rather lovely Green Goddess, as well as the usual Red and White Bristol Bus called Ruby. We’ve even had a tank aiming her barrel at her at one point. The current neighbours on either side are a rather beautiful Bristol Bus and an intriguing Wonka van that could do with a little TLC. Who knows who will be appearing over the coming months.